It’s nearly summer, it’s getting too hot to dress for work, yet you still want to look polished and effective. What’s a girl to do? Well, as tempting as it is to forego the suit and pumps in favor of a sundress and sandals, don’t – even if your co-workers do. Collars and closed toes convey authority and credibility; exposed arms and open toes do not. Relaxed does NOT mean “anything goes.” It means relaxed colors, relaxed fabrics, relaxed BUSINESS attire – NOT shorts, halter tops, and flip flips. You’ve worked hard to get where you’re at. Don’t blow it by dressing inappropriately, even if it’s hot enough to fry an egg on the sidewalk where you work. Instead, borrow a page from fashion history to recreate some of the classic warm-weather business looks that have withstood the test of time. 1. White SuitThe white suit has been a staple in the tropics for nearly two hundred years for three reasons: it looks crisp and clean, it reflects the sun, and it hides perspiration. While some women avoid white because they think it makes them look bigger, there’s an easy fix: wear all white from head to ankle and pair with flesh-colored shoes. Monochromatic outfits draw the eye up and down to make you look taller and slimmer. 2. SeersuckerMost popular mid-century, the fine pastel and white stripes (or checks) of a seersucker ensemble spell summer in an old school kind of way. You’ll find the all-cotton fabric commonly used in summer suiting and dresses because it’s lightweight, easy to wash, and looks great. 3. ShirtdressA crisp collar, buttons down the front, knee length – all the elements of the classic suit, but without the suit. It’s a great way to convey authority in a single, no-fuss layer. 4. SheathA classic sheath offers a simple, classic silhouette that says “dressed up” without a lot of work. While sleeveless tops are popular right now, opt for something with a little sleeve. You don’t want all the attention to go to how toned – or out of shape – your upper arms are. 5. Light Weight SeparatesTrade in the matching wool suit for cotton or linen skirts or pants and a non-matching jacket.Â Experiment with less tailored looks that still convey authority. Other ways to relax the dress code that still pack a punch? DO try splashes of bright colors in clothing and accessories. Trade in the standard gold chain for an artisan necklace instead. Wear your hair in different ways, like a chignon or a French braid. Shelve your dark leather accessories in favor of neutral or summer-time versions instead. Do NOT reach for your casual wear when dressing for work in summer. Shorts, halter tops, mini skirts, and strapless are not work-appropriate. Neither are canvas, plastic, or rubber shoes. Just because temperatures rise doesn’t mean decorum evaporates. Far from it! In fact, if you can manage to look cool, crisp, and clean in the heat of summer – especially when most of your co-workers dress like they’re headed for the beach – you may find yourself promoted come fall. Try it yourself and see! Get paid what you’re worth! Pulling together a business attire look that showcases your abilities is easy, once you know how. 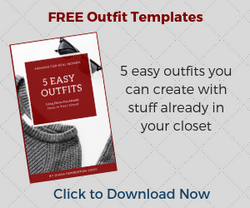 Download a copy of Business Wear Magic to see how easy dressing for success can be.